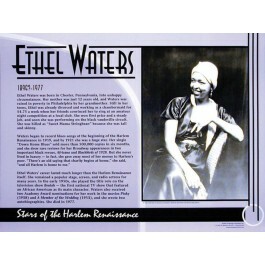 This educational poster features a large photo image and biographical text of the great African American singer and actress Ethel Waters. 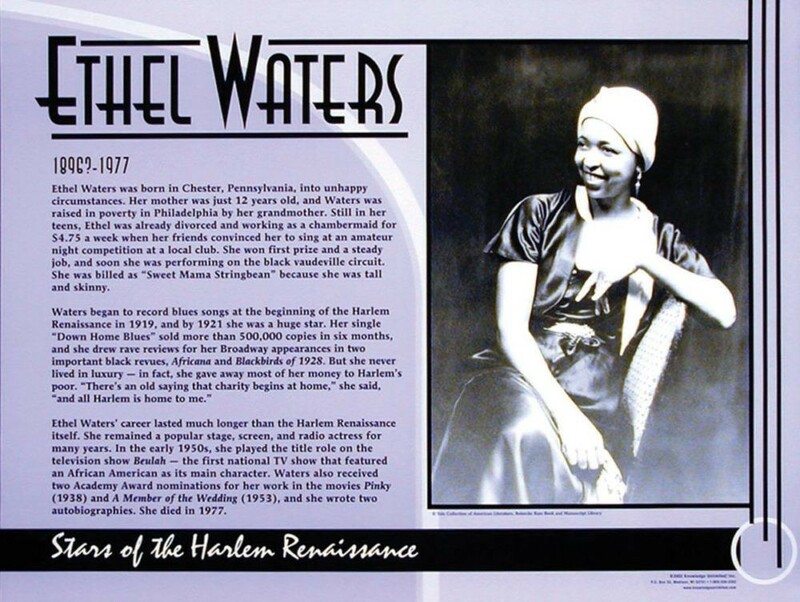 Born into poverty, Ethel Waters became a huge star during the Harlem Renaissance. Her singing and acting abilities helped make her a big star on Broadway in the 1920s. Ethel Waters remained a famous stage, screen, and radio actress for decades. And in the 1950s she played the title role on the TV show Beulah -- the first national TV show that featured an African Ameican as its main character. This poster is a great way to introduce students to this important and pioneering American actress.